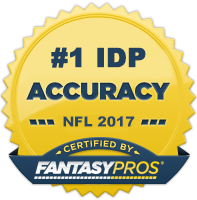 This said, I believe it's a worthwhile exercise to break down some of the more intermediate IDP stat categories. We will take a look at IDP snap counts, tackle frequency, sack frequency, and points per snap within this stat metrics series. This specific release will focus on IDP Tackle Frequency.